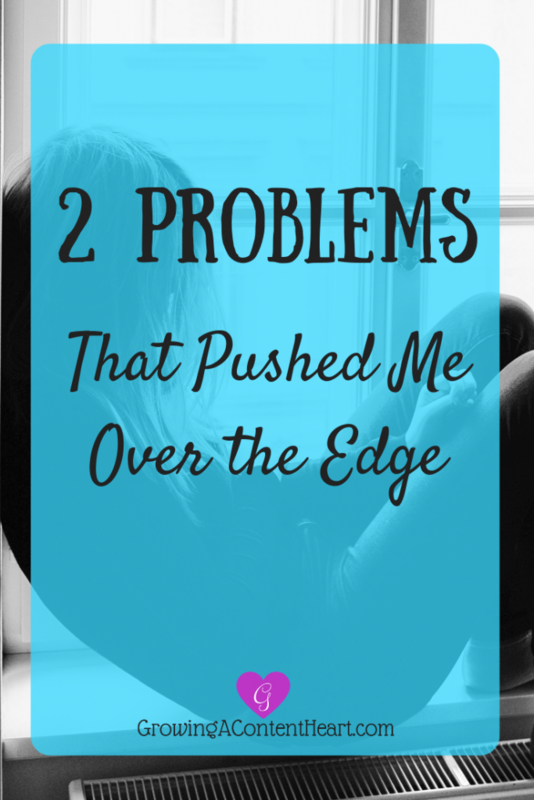 I have two big problems that I cannot ignore and that I have no control over. Problems that have pushed me over the edge, and kick-started this blog. But we’ll get to that in a moment. Paul is my hero. “I have learned in whatever state I am, to be content.” Letter to the Philippians, chapter 4, verse 11. “I have learned…” How many of us believers on earth today, especially in American culture, can say that we have learned this? A very few people I have crossed paths with in my journey seem to have come awfully close. And I want what they have. A content heart. The capacity to say in any situation or circumstance, “I can do all things through Christ who strengthens me.” Verse 13. Very popular these days. We like to say it. It fills our hearts with hope, and rightly so. But have we learned it? What is a content heart? “Sufficiency within.” That is the meaning of the Greek word Paul uses that we translate content. If we have the Holy Spirit within us…which is true if we are believers…then the Source of this sufficiency, this contentment, is already in us. I am blowing my own mind, here. Contentment is supposedly such an elusive thing…or is it? But I count myself a believer, a follower of Jesus. And that means…in Christ, I already have what I need to have a content heart. It seems the answer is super simple. “Let go, and let God” kind of stuff. Done. This is the shortest blog ever. Everything you need to know in one post. But the reality is, this walk with Christ is often messy, and pursuing holy things is often hard. I have chosen to pursue this holy thing: a content heart. This blog is my journey. I want to share what God is teaching me—how He is growing a content heart within me. There is a consistent pattern in our life of having earthly things we depend on and hope for taken away. I consider myself to be a Christian woman. I often say we need to trust God no matter what. Or at least acknowledge my ascent to the concept when my precious husband keeps saying it. But there have been moments in this life that I have wanted to look God in the face and say, “Really? You’re taking that too? But I wanted….” At this point, my heart reverts to a stomping toddler, clenching my dreams in my fists. Sometimes, I honestly do feel justified in my response. That was a good job we just lost. That was a wonderful relationship with another family that just turned sour. That was a dream we’d been striving for years to accomplish—gone in a moment. We have gradually been led deeper into the valley we are walking, one thing after another taken away or denied. In this valley, I have learned not to count on earthly blessings. But…isn’t that…a good thing? Clearly, I have a problem handling what is thrown at me. What do I do if my circumstances never improve? This problem would not be as bad without the second problem. 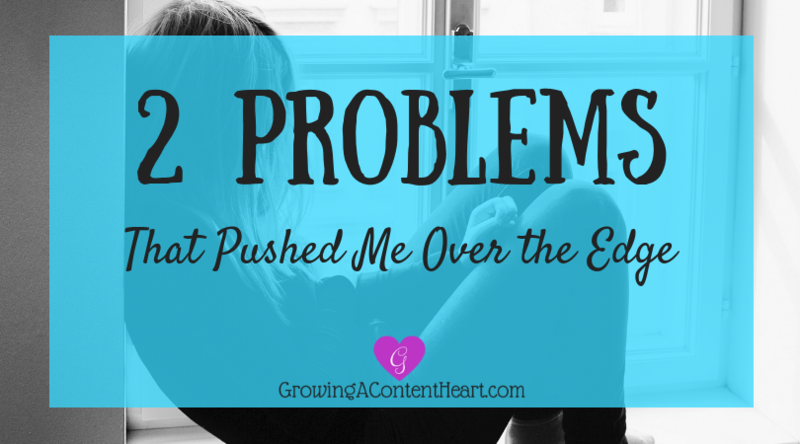 I’ve been living with the persistent pressing of the Holy Spirit against my soul to purge my complaining heart. Yes. This is a problem. First of all, I like complaining and worrying! (Wow. Did I just say that out loud? Again with the stomping toddler.) The tears flow as I confess this. My comfort zone is worry and discontent. Which is probably one of the reasons I struggle with anxiety and depression (but that’s another post). If something isn’t going wrong, I worry about when it will. Second, and more seriously, I’ve lived long enough and absorbed enough Scripture to know that what comes after conviction is hard. If you take God seriously. When I calm myself enough to look up from clenched fists and see His face—the Father taking a deep breath waiting for me—that is when it begins. Surrender. Of dreams, of desires, of comfort, of priorities…of complaining and worrying. Conviction is a problem simply because it hurts. It’s supposed to hurt. Like a parent firmly reminding their child of serious consequences if they disobey. That is uncomfortable. And I have to choose: am I going to surrender and let the Holy Spirit start changing me? Or am I going to pretend I didn’t hear Him and hunker down in my comfort zone again? Because letting God change you is not comfortable. Pursuing holy things is often hard. I have chosen to take God seriously. And He is already taking me seriously. The very fact that I am publicly sharing my journey makes me more accountable for it. God’s not letting me out of this one. Pushed by circumstances and conviction, I step out in faith. Here we go. Welcome to my blog. Let’s see what God does. Great post. The part about what if our circumstances never improve is particularly relevant to me. I’m trying to learn to be content and also thankful in all circumstances, but it is still a challenge. Thanks for the encouraging words. Robert, it is a challenge. Don’t know if I will ever be able to say with Paul, “I have learned in EVERY situation to be content.” But I am definitely growing! Praying for you in your journey, brother! Oh, the stomping toddler! How I relate! You are not the only one my friend, this battle is real. Your words remind me of Galations when he tells them that we are to live by the Spirit, not by the law (not that this is a law issue). If we are living by the Spirit, then God can change any characteristic that is unlike Him. I am also reminded of a time when you told me that you were trying to do things by your strength and not His. Then that same day you showed me a picture of the progress you were trying to make! It was just like, you said it, then did it. I was truly impacted by that statement. Thank you for your encouraging words, Sharilyne! And the memory of where God has been leading me for a long time. This is still a daily battle…constantly “taking every thought captive to Christ,” so I can walk in His strength and not my own. So, so easy to get hyper-focused on MY to-do lists and piorities…and forget to abide in Him and draw on His strength. You did it! I am so proud of you! Beautiful job! I am so glad that God gave you a vision and a voice for your blog! Thank you, Jennifer! So great to see your name here! Thank you for always being an encouraging voice. Can’t wait to see what God does! Beautifully written. I love your heart. And I love you so much! Thanks for being part of my journey in so many ways.